According to study researchers from Houston Methodist hospital, not only can too much dietary phosphate clot blood vessels and enlarge the heart, but where the phosphates come from plays an active role—so much so that it can have detrimental effects in both healthy individuals and those with chronic kidney disease. The study, which will be published in the August 2015 issue of the American Journal of Clinical Nutrition, suggests that phosphates added to dairy and cereal products can cause bigger spikes in blood phosphorus levels compared to naturally occurring phosphates. This could potentially put harmful stress on kidneys. The estimated average requirement for phosphate is 580 milligrams per day. On average, most individuals are consuming more than three times that amount. In order to distinguish an association between organic phosphate and inorganic phosphate intake with serum phosphate levels, researchers evaluated the diets of 7,895 individuals from the National Health and Nutrition Examination Survey. 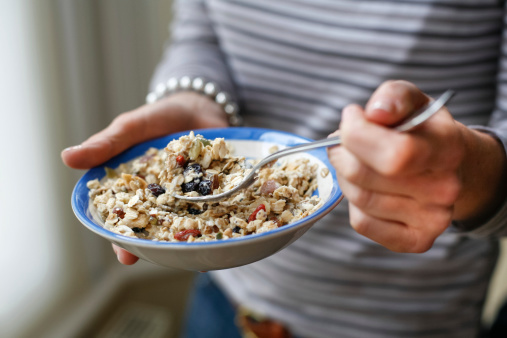 Researchers discovered that inorganic phosphate additives found in dairy foods, as well as cereal and grain products, played a significant role in increasing serum phosphate concentration, even though these foods tend to be consumed less frequently than foods without the additives. Since manufacturers are not required to include phosphorus on the nutrition facts table (although they could list it on the ingredients list), the responsibility is on consumers to make healthy choices. Houston Methodist, “Foods with added phosphate cause spike in blood, even in people with healthy kidneys,” ScienceDaily web site, July 21, 2015; www.sciencedaily.com/releases/2015/07/150721102751.htm. Moore, L.W., et al., “Association of dietary phosphate and serum phosphorus concentration by levels of kidney function,” American Journal of Clinical Nutrition 2015, doi:10.3945/ajcn.114.102715.